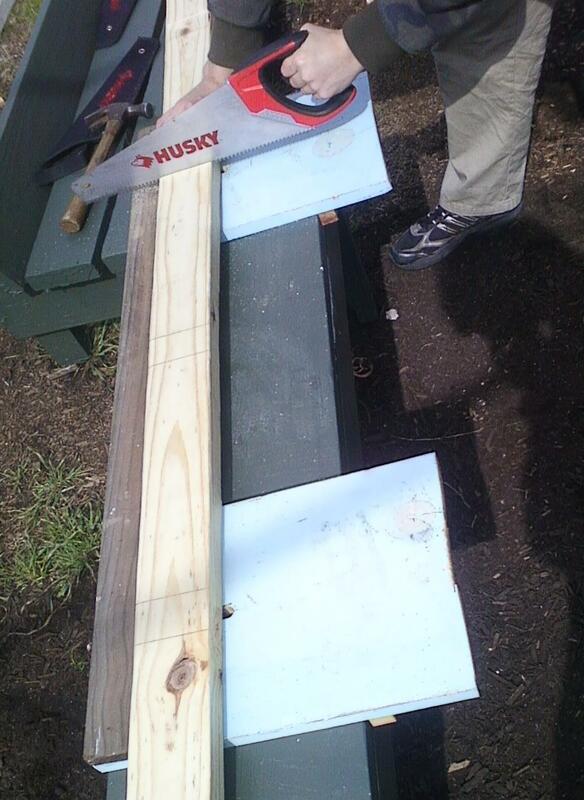 Dadoes are much easier to cut when you use two bench hooks…. You can even chisel out the waste right there. My students are having such success using bench hooks, knee height workbenches and the tool chest I’m reconsidering my thoughts on bigger workbenches. I’d like a better assembly table, but it ain’t nothing if I don’t have it. The kids are killing the simple bench project – in-progress pics coming soon.